As we reported earlier Dhanush is going to work with Durai Senthilkumar of ‘Ethir Neechal’ and ‘Kaaki Sattai’ fame in which Dhanush plays the dual roles of brothers for the first time in his career. Dhanush is currently busy shooting Prabhu Solomon’s romance drama and with the post production of VIP 2 which is likely to release in November. Speculations are rife that Dhanush’s upcoming yet-to-be-named film with director Durai Senthilkumar will see the actor essaying a dual role. “The main plot of the film revolves around brothers. Dhanush is likely to play the role of both brothers in the film,” says a source. This will be the first time for Dhanush to don a double act if the concept comes to fruition. Dhanush is expected to start Vetrimaaran’s Vada Chennai which will roll out from end-September or early-October. News is trickling in that the team is keen to have a Bollywood actress as one of the heroines considering Dhanush’s pan Indian popularity which will help the film to sell big. It is also being reported that the movie will address a sensitive issue that's been troubling our country for quite some time now. Since the team is under an impression that the story will have a strong appeal to each and every Indian, they are planning to rope in Hindi actors as well as other performers from various film industries across the country. 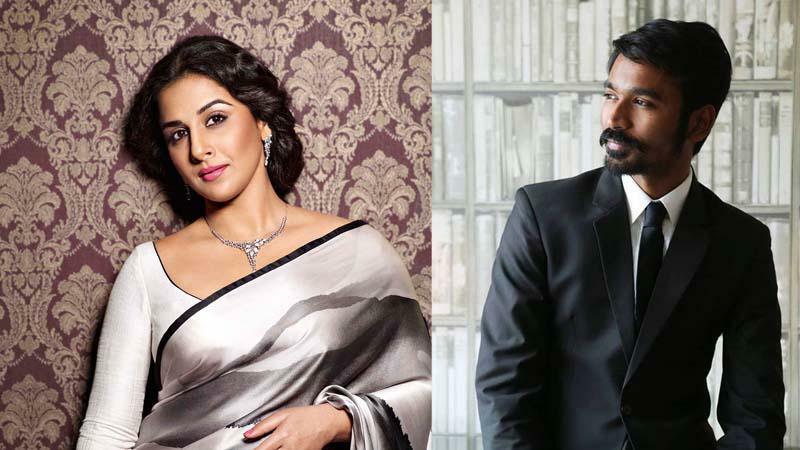 Dhanush who is also producing the film under his Wunderbar Films has decided to rope in Vidya Balan as one of his pairs (for the elder brothers character) and negotiations have already begun. Official confirmation on this is awaited.